Successfully Added Q-Box 4K TV Box - Android 5.1, Amlogic S905 Quad-Core CPU, KODI, Dual Wi-Fi, Bluetooth, HDMI to your Shopping Cart. The Q-Box Android TV Box will bring smart Android 5.1 interface right to your big screen TV. Loads of fun and loads of free content, thanks to Kodi – the Q-Box Android TV Box is a small yet powerful entertainment gadget! First thing the Q-Box 4K TV Box will bring you is great quality. 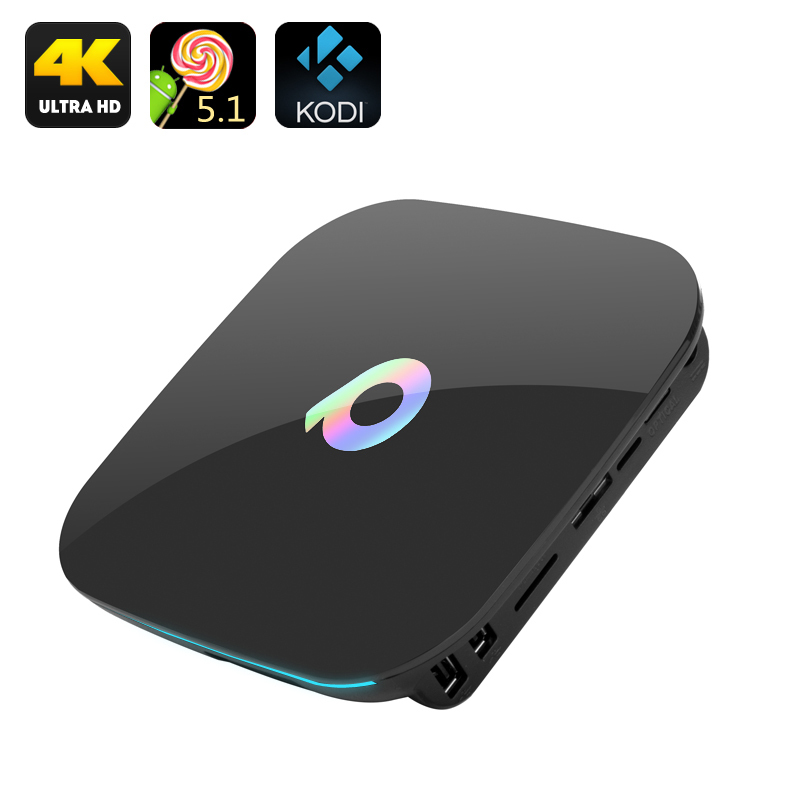 The TV box is totally future proof with 4K support and output – so if your TV does support 4K resolution, you will be able to watch all your selected content in amazing quality. The 4K TV box comes with pre-installed Kodi 16.1 – and that means access to lots of great free content and a convenient media player to watch it on. With Kodi pre-installed, your TV box id ready to use right out of the box! The TV box also supports Miracast, Airplay and DLNA. The Android 5.1 TV box comes with 16GB of internal memory – plenty to store your movies and videos. Plus, you can add 32GB more to that with an SD card. The Q-Box 4K TV Box features 2USB ports, HDMI, SD card slots and more. It also comes with OPTICAL port - great for setting up a high quality sound system with no interference. The Q-Box 4K TV Box comes with a 12 months warranty. Brought to you by the leader in electronic devices as well as wholesale Android TV boxes.. Delivery was fast. It came as described. Easy set up. Came with Euro plug but they provided a converter.